Create a sacred space for reflection with the addition of a hand-made meditation pillow. 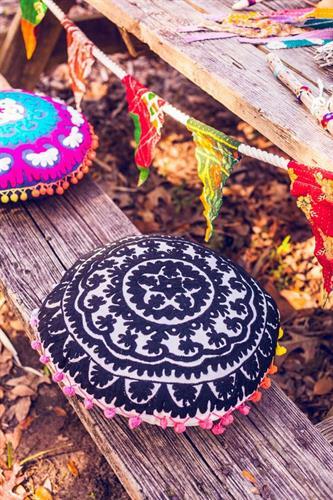 Inspired by the traditional use and design of meditation cushions, participants will create mixed media fiber art designs using hand and machine sewing. These pillows will improve your meditation experience by positioning the the body in a posture that creates optimal oxygen flow. Participants are encouraged to bring fiber materials and fabric that is meaningful to them. You may bring your own pillow, but we will also provide them.